Research and Development of Bio-active and Bio-inactive materials. regulation of cells and tissues. polymer and biopolymer. By conjugating two components, we design the “ Functional Hydrogel ”. “ The improvement of graft survival ” and “ the strict control of transplanted cells in the body ” is strongly required to fulfill the cell-based therapy. 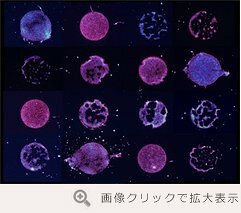 Generally, disorder tissues hardly have abilities for protecting and regulating transplanted cells. Therefore, we research and develop a functional hydrogel for supporting the regeneration of damaged tissue. This hydrogel have abilities to accordingly regulate transplanted cells in vivo. Cells need “ clothing, food and housing ” in common with human life. Hydrogel becomes “ clothing and housing ” for cells. And “ food ” for cells is proteins, sugars, and hormones. 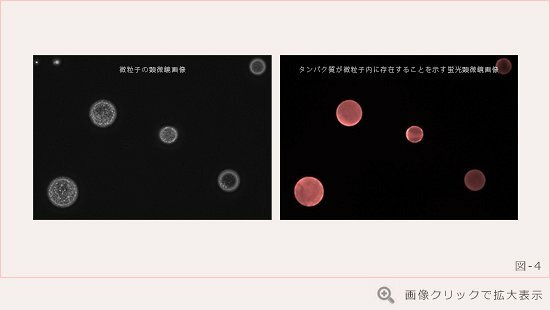 In our laboratory, functional hydrogel modified with proteins was developed to concurrently provide the “ clothing, food and housing ” to transplanted cells. As shown in right figure, hydrogel system possessing the abilities of cell adhesion, immunosuppression, and regulation of cell behavior were designed using "biopolymer" and "chimeric proteins". About details of each research, please read the manuscripts shown in reference column. Chimeric proteins are key component in our material designing. 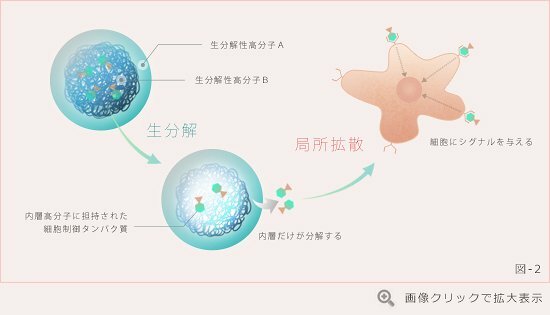 ceramic substrate is effective in the strict regulation of cells. Chimeric proteins are designed with genetic engineering and synthesized by using E. coli. or human cells. Protein drugs are received attention from the field of regenerative medicine. Additionally, effective systems to control the drug potency and the duration of activity are strongly desired for maximally getting the effect of protein drug. 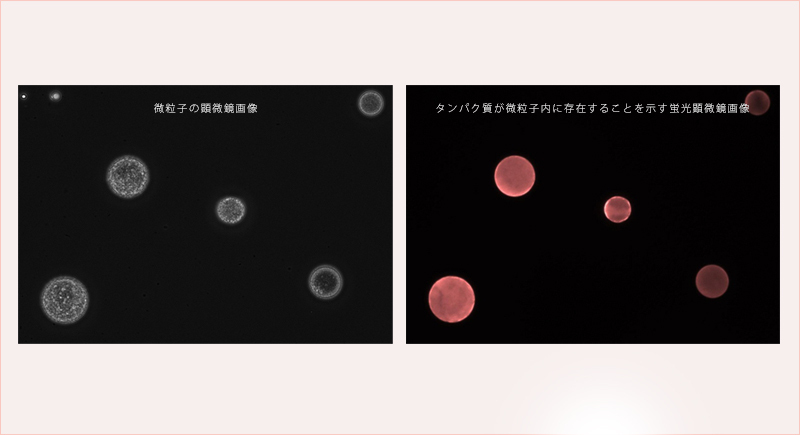 In our laboratory, two effective system for protein release were developed. 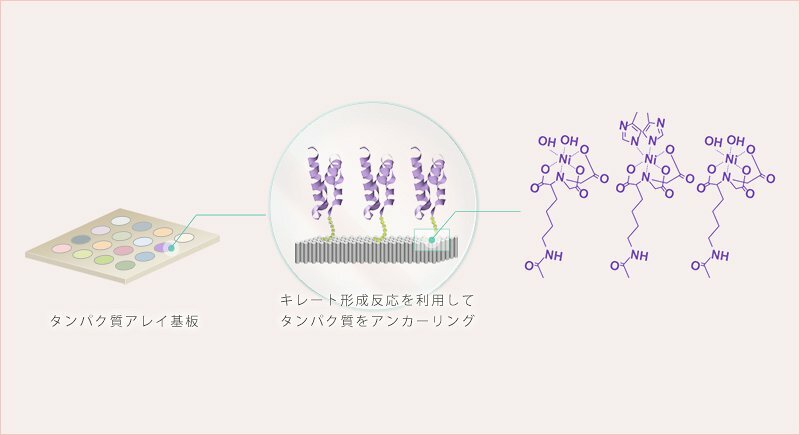 Growth factor fused with the domain (peptide) for immobilizing to biodegradable polymer was synthesized with genetic engineering. This chimeric protein was immobilized into inner phase of microparticle (MP). 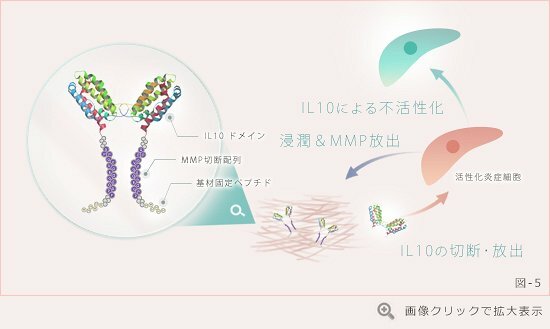 Immobilized protein is released from MPs only by the biodegradation of the inner phase (degradation with specific enzyme). 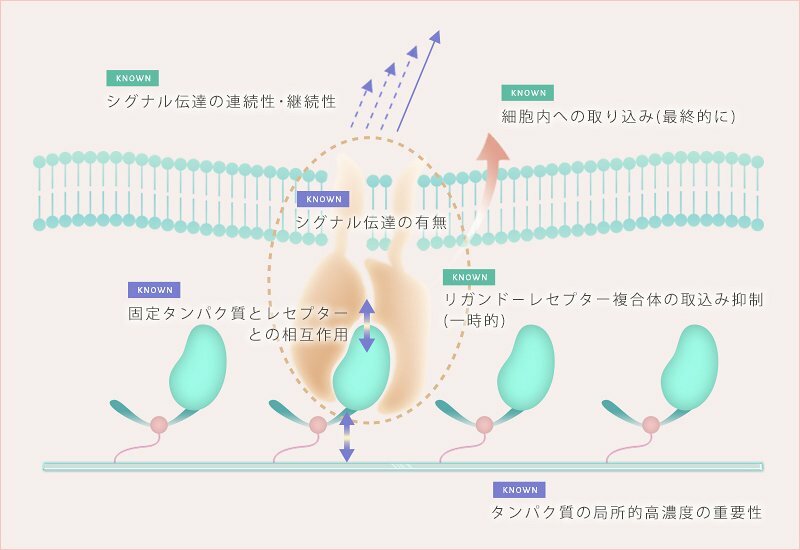 Consequently, the action of protein to target cell can be defined by controlling the biodegradation of the inner phase. After the transplantation into the organ, inflammatory response is certainly raised, and transplanted cells are attacked by inflammatory cells. 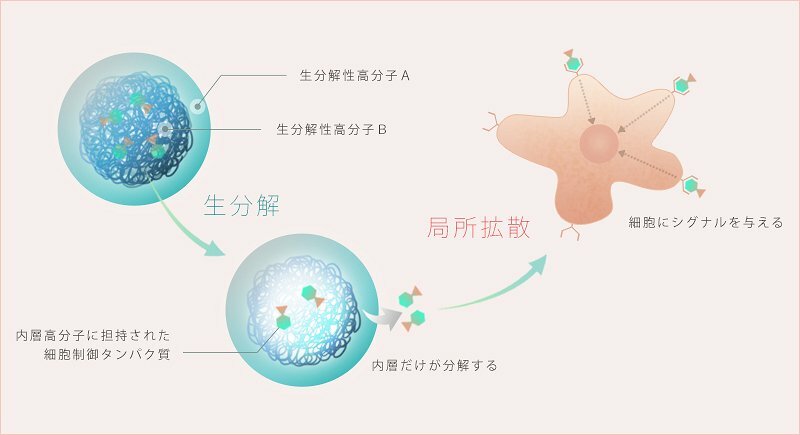 Inflammatory response has to be prevented for improving the survival of transplanted cells, on the other hand, other immune responses for the repair of various tissues must not be inhibited. 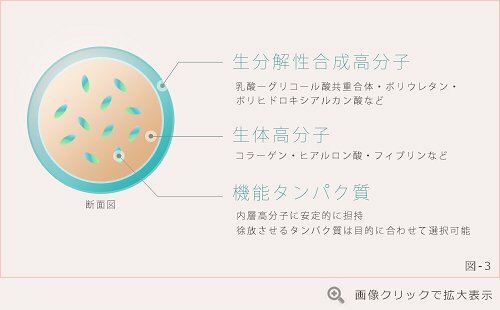 Therefore, we designed a system to locally prevent the inflammatory response. We have synthesized chimeric protein, interleukin 10 (IL10) fused with "protease cleavage site (oligopeptide)" and substrate binding domain. This protein was immobilized into hydrogel. 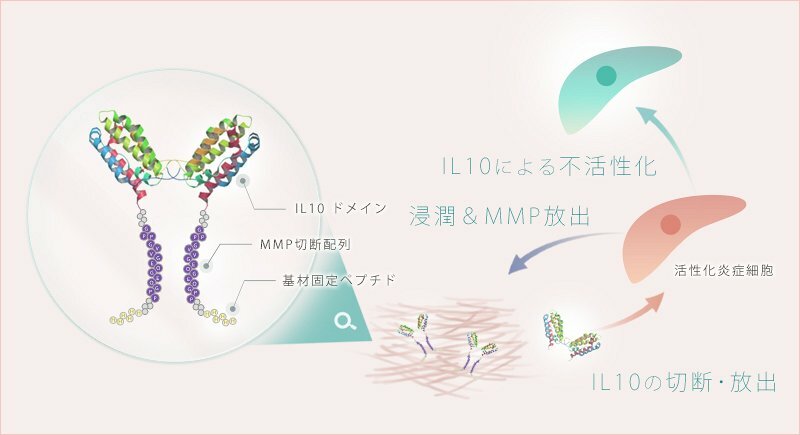 Only when inflammatory cells infiltrate to the transplanted region, IL10 is selectively released from the hydrogel by cleaving it with protease expressed from inflammatory cells. Cell array is focus as one of the method to investigate cell function and characteristic. Big advantage of cell array is that many analytes can be concurrently investigated on a substrate. 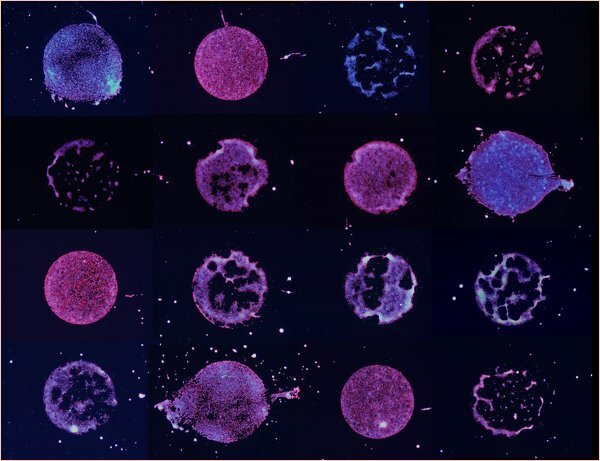 It can be considered that the system and devices to investigate the effect of protein against cells and the cell behavior with protein action are developed by appling the technique of cell array. 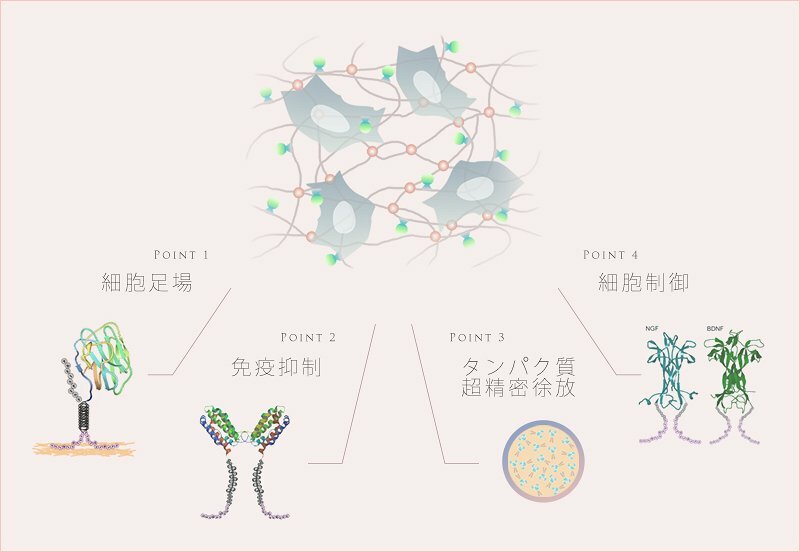 Therefore, we had developed the protein array system for analyzing the function of chimeric proteins against neural stem/progenitor cells or mesenchymal stem cells. 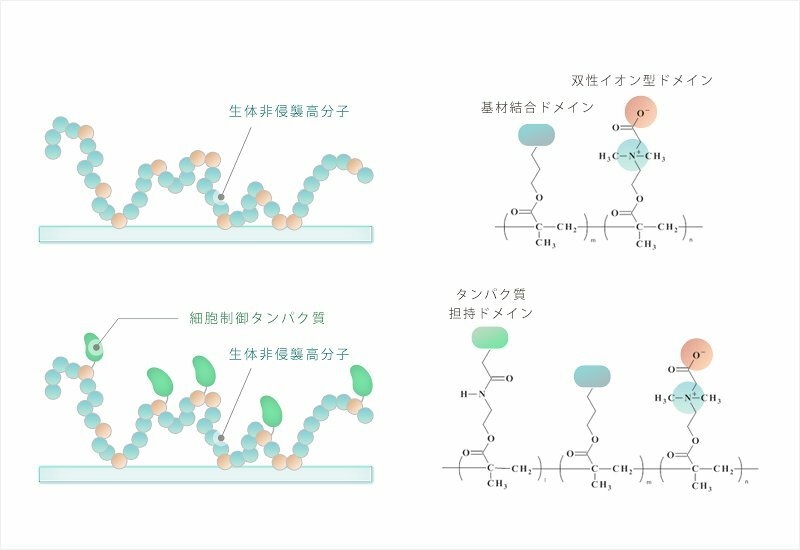 For applying the chimeric protein to functionalization of biomaterials, moreover, we must completely understand how the chimeric protein immobilized with the material acts to the receptor. 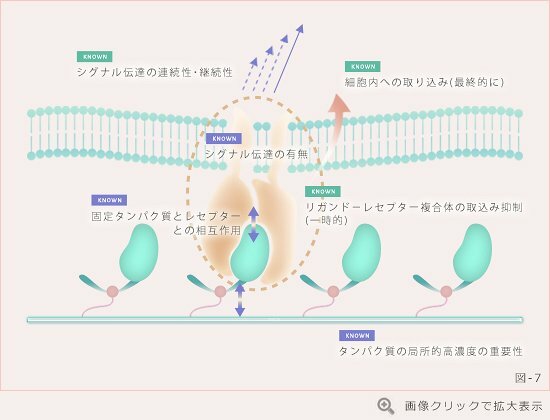 However, action mechanism of immobilized protein isn't clear. As shown in the illustration, we are carrying out research for understanding the various unknown points. functional biomaterials are designed and developed. 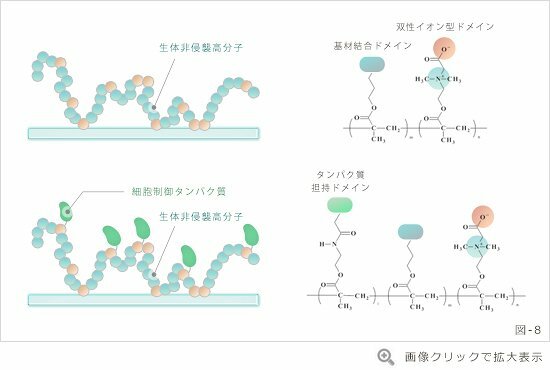 Whereas bio-active materials are willing to work to cells and the other biomolecules, bio-inactive materials don’t decidedly work to every biomolecules, in other word, these materials are inviolable against cells and proteins. Previously, various anti-thrombogenic and anti-biofouling materials have been developed. The availability of previous materials is particularly evident in clinical practice. However, these materials are completely limited to the condition and use (poor application). 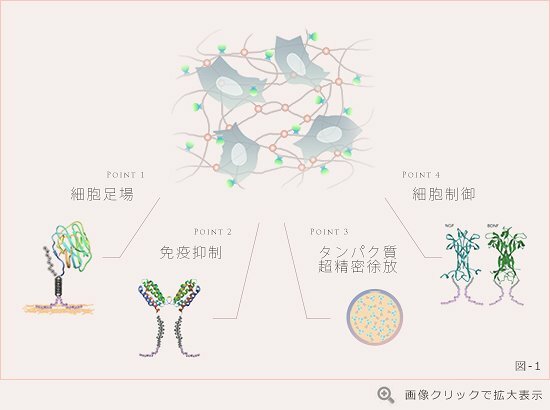 To adopt for specific condition at various diseases, novel bio-inactive materials are required in the field of regenerative medicine. We focus on the ability of the materials modified with “ zwitterionic domain ” which is domain having both of positive and negative charges. Previously, it was demonstrated that zwitterionic polymer materials have the bio-inactivity. 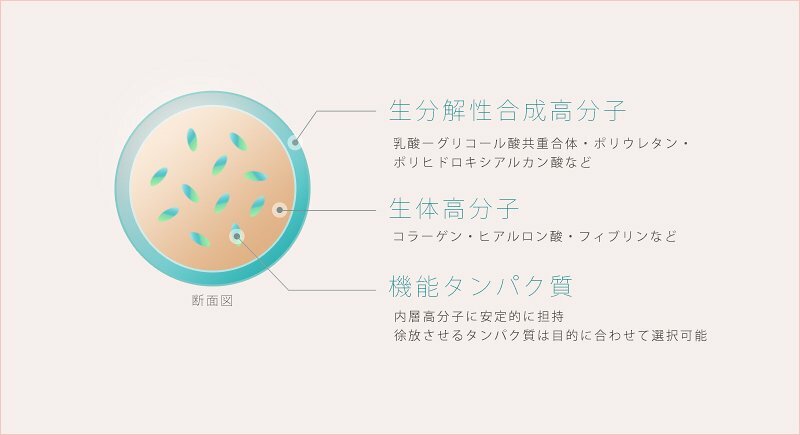 We aim to formulate “ the method for easy construction of bio-inactive surface using zwitterionic polymers ” and to develop “ the hydrogel not to disturb the environment in the body ”. Moreover, we challenge the development of the materials to investigate the environment of molecular clouding by using zwitterionic molecules.